It begins with the analysis of the components. 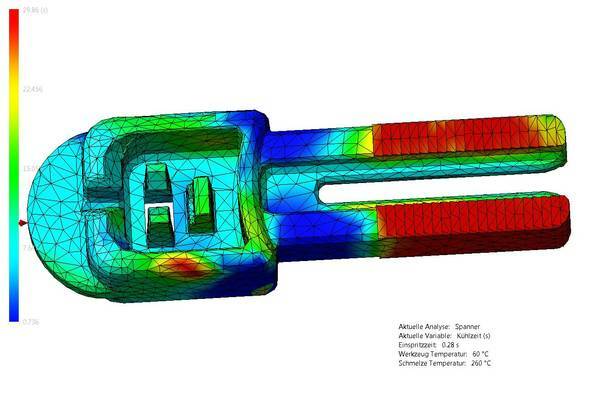 Here we use the most modern methods of the rheological analyses for injection molding parts. With these methods we are able to find out the optimum injectionpoint , knit line, accumulation of material, pressure history during the injection phase, flow-front temperature, the necessary injection pressure and the necessary cooling. In our modern-equipped tool construction, we manufacture powerful and precise production tools. 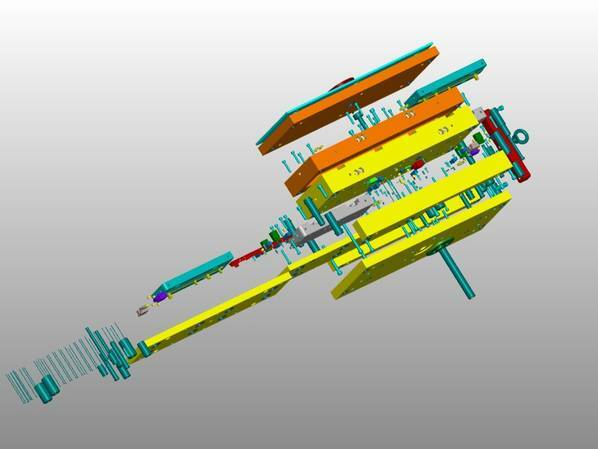 The manufacture of the tools is with CAD/CAM support. Of course, our highly qualified staff ensures the continuous availability of all production tools: by well documented tool maintenance, repairs as well as optimization respectively necessary modifications. In case our tool construction should not be able to respond immediately because of capacity reasons, our competent cooperation partners situated directly in our neighborhood will guarantee that time of delivery and the quality of our products are met. Furthermore, we gladly offer support in the development of new ideas: planning, construction as well as the manufacture of products and the appropriate tools. We are at your disposal and will be happy to advice you!